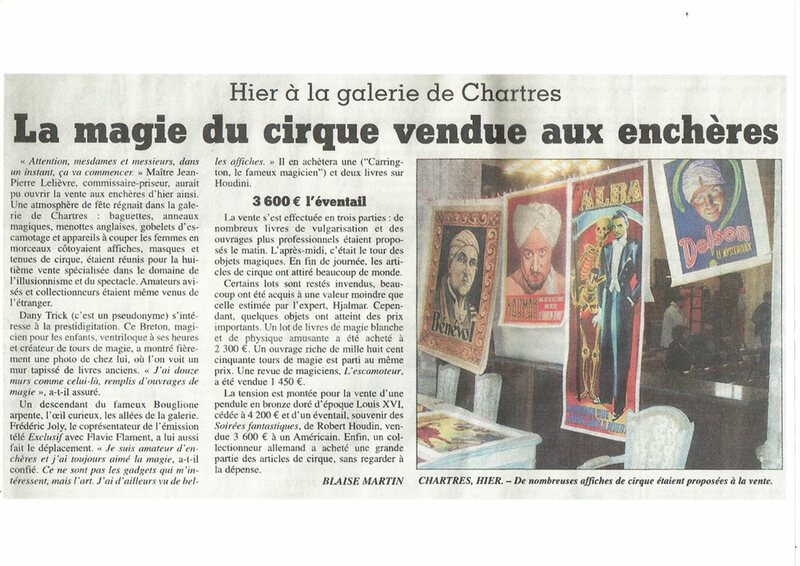 Voici un scan de l’article de Chartres. Il faut dire que j’ai assisté aux douze ventes aux enchères spécialisées de magie que Maître Jean Pierre Lelièvre organisa dans sa ville. 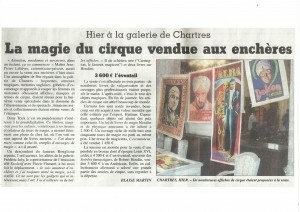 Image et texte Copyright L’Echo de Chartres. Cliquez sur l’image et ensuite vous pourrez l’agrandir à votre guise. Cette entrée a été publiée dans Blog, Collection, Uncategorized, avec comme mot(s)-clef(s) VENTE AUX ENCHERES DE MAGIE ET ARTS ANNEXES. Vous pouvez la mettre en favoris avec ce permalien. great post, very informative. I ponder why the opposite experts of this sector don’t understand this. You must proceed your writing. I am sure, you’ve a huge readers’ base already! excellent submit, very informative. I’m wondering why the other experts of this sector do not realize this. You must proceed your writing. I am sure, you have a huge readers’ base already! of course like your web site but you need to take a look at the spelling on quite a few of your posts. Many of them are rife with spelling issues and I in finding it very troublesome to inform the reality then again I¡¦ll certainly come back again. Needed to post you one little bit of word so as to give thanks once again over the lovely tricks you have shared on this website. This has been remarkably open-handed of you to deliver unreservedly what many individuals might have sold as an e-book to help with making some profit on their own, most importantly given that you might have done it in case you wanted. These inspiring ideas additionally worked like a fantastic way to realize that someone else have the same interest much like my very own to grasp great deal more related to this problem. Certainly there are lots of more pleasurable opportunities in the future for folks who check out your site.